Now that we have discovered this orange muffins recipe, breakfast shall never be the same. Actually, the tasty muffins are good any time of day. 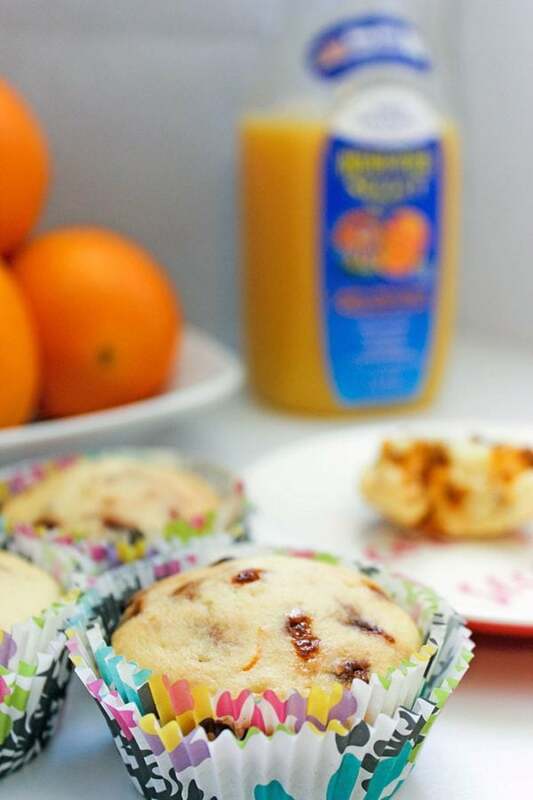 Using 100% Florida Orange Juice, the orange muffins recipe is sweet, citrusy, and perfect for spring and summer. This post is sponsored, but all opinions are my own. I absolutely love citrus. The scents are revitalizing. The flavors are scrumptious. The colors are happiness. 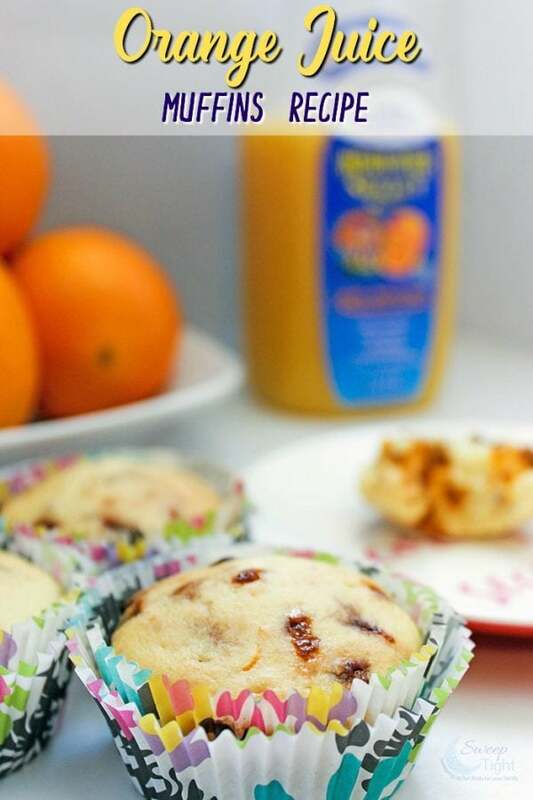 So, it’s not surprising that orange juice muffins are now at the top of my list of recipes. It’s safe to say that Mike agrees since he ate six muffins in one sitting. Of course, you can switch up the add-ins, but I don’t suggest it. You can’t even tell the flax seeds are there, and cinnamon chips are like morsels of magic. Makes about 18 regular size muffins. Combine dry ingredients in one bowl – flour, sugar, baking powder, salt, and flax seeds. Leave chips out for now. Once you have mixed all the liquid ingredients well, slowly add in the dry mixture. Mix until combined. Stir in the cinnamon chips by hand. Or, if you’d prefer a different flavor chip, nuts, raisins, etc. Mix them in at this point. Bake for 15 minutes. Check with a toothpick to make sure they are done. Allow to cool before eating, but they are extra delicious warm. 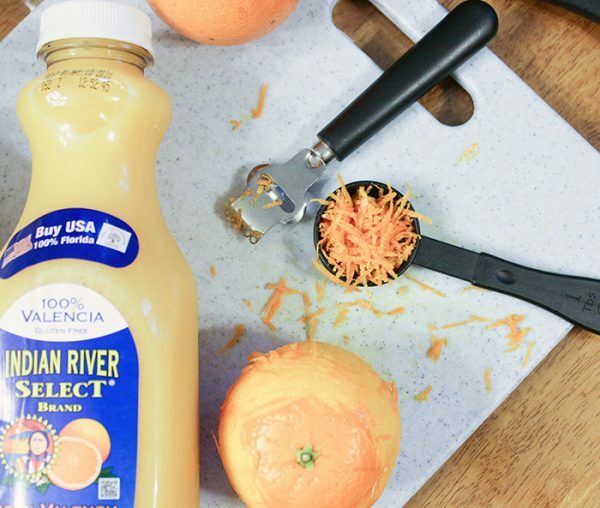 If you haven’t tried Indian River 100% Florida Orange and Grapefruit Juice yet, I suggest you seek it out. Use their store locator to find a grocery store near you. I was able to find the orange juice at our Whole Foods. They were out of the grapefruit juice, but I will be sure to grab that once it’s back in stock. Indian River typically has a Loyal Customer coupon available. Sign up to take advantage of the savings. 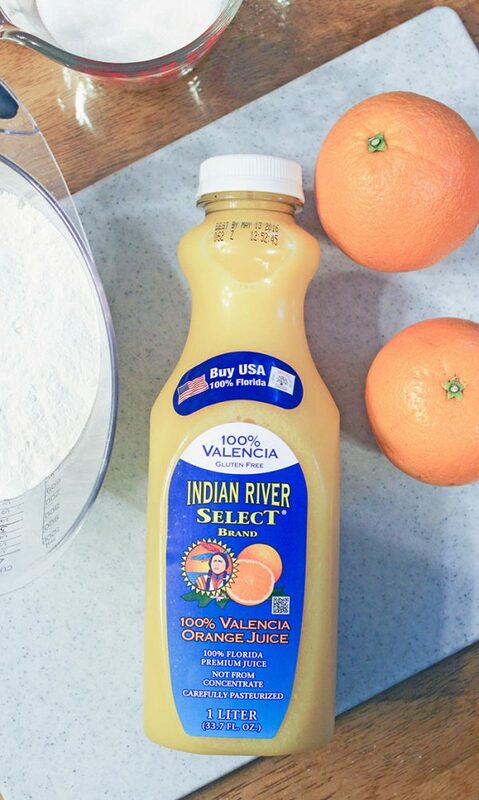 Have you tried Indian River Orange Juice or Grapefruit Juice yet? 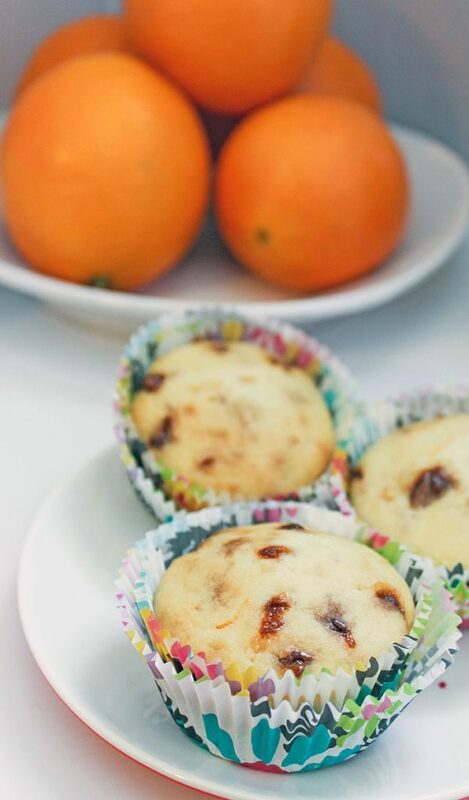 Do you have a favorite orange muffins recipe? What a wonderful recipe. I know I would enjoy these muffins. The Ingredients are terrific and I would have these with a cup of tea! I pinned this recipe. What a great recipe. We love muffins, I am going to have to give these a try. 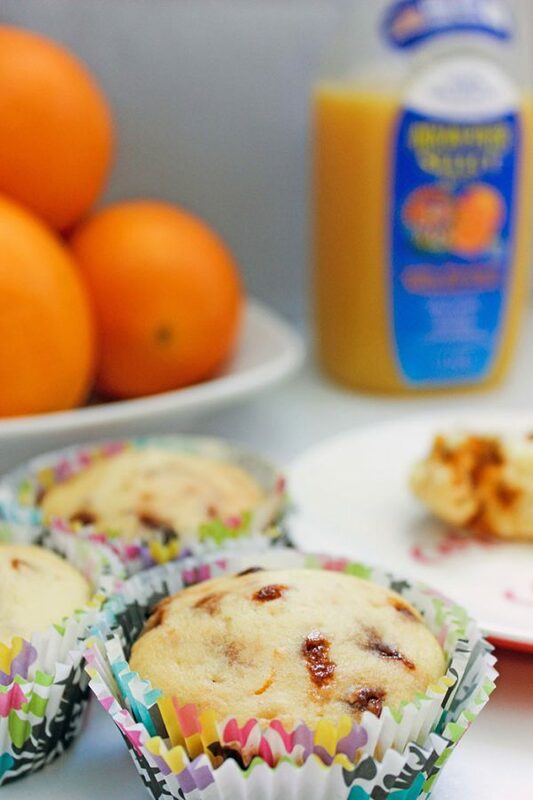 I have never made an orange juice muffin and this recipe sounds delicious. I love that it is low in sugar (and if I use cinnamon spice rather than chips even lower) and has no fat. Those look like awesome muffins. Good ingredients.